Tasty One Top, an induction cooktop that syncs with the Tasty smartphone app to guide would-be chefs through different recipes. A built-in sensor and companion thermometer track temperature, so the app can tell users when to flip a steak, for example, to make sure it’s medium rare. Other companies, such as FirstBuild, Hestan and Pantelligent, have launched similar products in recent years. Tasty’s advantage is its already robust arsenal of recipes, spanning everything from cheeseburger onion rings to ice cream churro bowls. Both those recipes require deep frying, which “freaks a lot of people out,” says Kaufman. But having an appliance that makes it “easy and predictable,”he adds, should empower them to try. In the future, our cars will be smart, and our tires will be smarter. Or so suggests Michelin. Its Vision concept—unveiled this year to demonstrate the potential of tire technology—certainly makes a compelling case. For starters, it’s airless, eliminating the need to worry about pounds per square inch. It’s also made from recycled materials in an effort to reduce waste. But the most impressive fea­ture may be its 3­D-­printed treads, which can be swapped in and out to accommodate various road conditions—without changing the tire itself. The challenge will be fig­uring out a way to do it quickly, says Terry Gettys, who helped lead the project, “because consumers are going to want their tires [ready to go] in just a few minutes.” Michelin estimates that a tire this advanced may still be as far as 20 years away. But some of its features, like airless designs and sensors that flag driv­ers when treads are wearing down, could become mainstream over the next several years. Black Friday is the official start of the holiday shopping season. Traditionally, it is the day on which retailers begin to turn a profit, or are in the black. On Black Friday, a variety of products (electronics, apparel, toys, etc.) are available at their lowest prices of the year. Limited-quantity doorbusters draw crowds of shoppers to stores at special early hours. This year, many retailers are opening their doors on Thanksgiving night and online sales will begin as early as Thanksgiving morning. That means an extra day of opportunities! Black Friday is now a full season. Sure, Black Friday proper is the main attraction, but stores have increasingly started to release deals in waves. Bargains can be found early in the week of Thanksgiving and run all the way through the weekend. The bottom line is, if you're doing all your deal-hunting exclusively on Black Friday, then you're missing out. Companies advertise door busters in order to attract customers to their brick-and-mortar stores. But in recent years, as competition has escalated among rival retailers, those eye-catching deals have steadily moved online as well. The reason is simple. Traditional retailers like WALMART, TARGET and BEST BUY know that online retailers like AMAZON will match their best prices on in-store deals. Thus it only makes sense to offer the same deals online, to remain competitive. The goal is to beat Amazon, but the real winners are deal-hunters. We've all seen the footage. Hordes of crazed holiday shoppers stampede into a store at four in the morning, trampling anyone and everyone in the way. It makes for a morbidly fascinating spectacle, a case study for shoppers as social Darwinists, played out on live TV. But the truth is that those sorts of incidents are actually extremely rare. We just happen to see the worst on the news because it translates into great TV. While you should be aware of the potential for chaos during your in-store shopping, know that it's unlikely to reach aggressive proportions. Shopping 101. Remember, retailers are in business to make a buck, and they can't do that if they lose money — or even make too small a profit — on every deal. Some deals are great, but others are filler. The great ones are there to lure you into buying more stuff, ideally at a healthy markup. So do your research and uncover the truth about those "rock bottom" prices before you buy. As anyone who's lived through Black Friday knows, the online experience isn't always stress-free. Technology isn't perfect. Websites can crash or even fail. And when everything works properly, some deals will simply sell out before you can place your order. The latter is a common complaint for flash sales from Amazon, for example. But at least you're still shopping from home! We owe the modern concept of Thanksgiving to a woman named Sarah Josepha Hale. Hale, editor of Godey's Lady's Book and author of the famous "Mary Had a Little Lamb" nursery rhyme, who spent 40 years advocating for a national, annual Thanksgiving holiday. For 75 years after Lincoln issued his Thanksgiving Proclamation, succeeding presidents honored the tradition and annually issued their own Thanksgiving Proclamation, declaring the last Thursday in November as the day of Thanksgiving. However, in 1939, President Franklin D. Roosevelt did not. In 1939, the last Thursday of November was going to be November 30. Retailers complained to FDR that this only left 24 shopping days to Christmas and begged him to push Thanksgiving just one week earlier. It was determined that most people do their Christmas shopping after Thanksgiving and retailers hoped that with an extra week of shopping, people would buy more. Is your boat less than 26 feet? Does it have outboard motor power and rest on a trailer? If you said yes, beware – you’re a big target for theft. 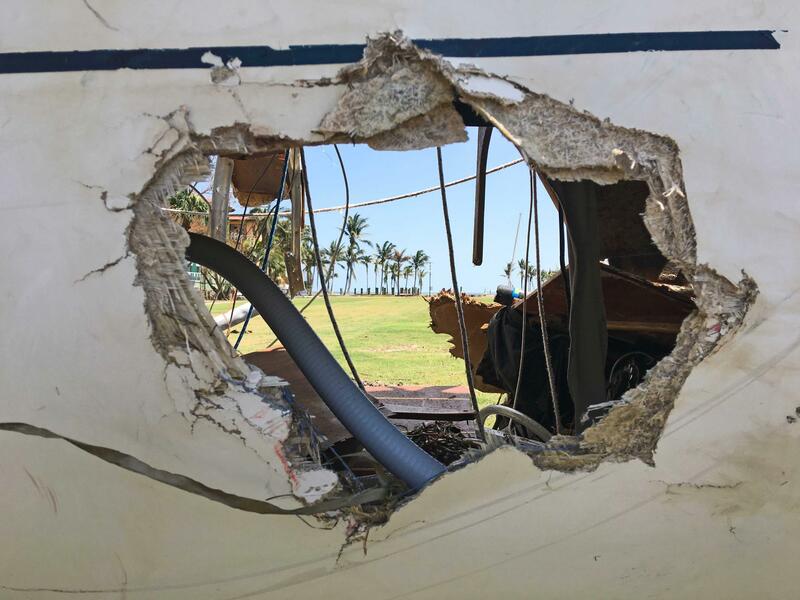 A newly released study that looked at five years of BoatUS Marine Insurance claims files shows that 75 percent of all boats stolen matched this description. With the long winter lay-up period nearing, here are five tips to make your boat harder to steal. Just one lock? Try another, and another. You simply can’t have enough. 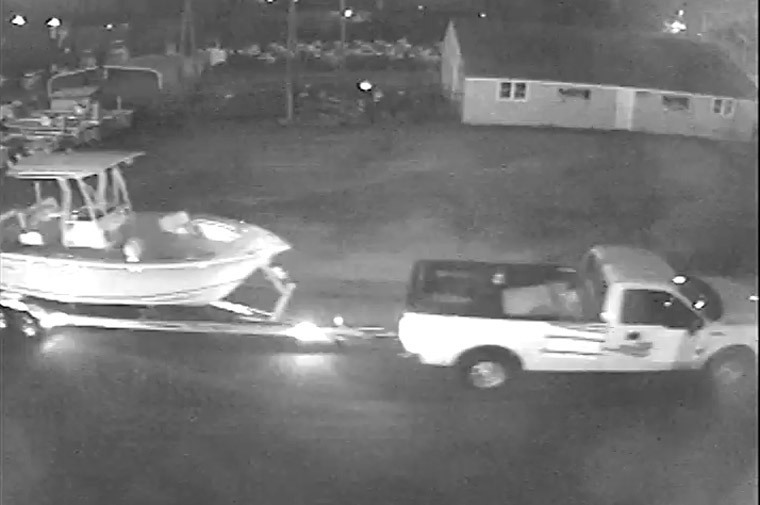 The whole goal is to make someone else’s boat more attractive than yours, so the more locks a thief sees on the trailer tongue, outboard engine, or used with chain around the trailer wheels the better the chance he’ll move on. With Veterans Day a day away, learn how a ragtag armada of everyday boating heroes kept World War II from America's coastline and became what we know today as the modern U.S. Coast Guard Auxiliary. Here's the story by Troy Gilbert. According to a recent article in the New York Times, there’s reason to drink the java up.